What is the Pinners Conference & Expo? Pinners is two great events in one. It's a conference featuring 100+ Pinterest-based classes taught by the best presenters in the nation. And it's also a show with nearly 300 top businesses providing beautiful options in the worlds of DIY, crafts, cooking, self-improvement, photography, party planning, scrapbooking, holiday, beauty and fashion and all sorts of other great things. What's Pinners? It's where Pinterest comes to life. And after you come, it'll be your new favorite event! Admission: General (exhibits and shopping) = $10. Many classes will have optional kits to buy once you're in the class. Kids 8 years and under are FREE to all events. VIP info here.  Where: Arlington Convention Center, Arlington, TX. September 14-15. Hours: Friday 10am til 8pm. Saturday 9am til 7pm. All ticket options (except VIP) available at the door. See what CNN & a Pinterest co-founder loved about Pinners! CNN came to Pinners GA and spoke to Evan Sharp, co-founder of Pinterest. See the coolness here. FAQs including service info here. Our Pinners host hotels for 2018 are the Spring Hill Suites - Dallas/Arlington North and the Hilton Garden Inn - Arlington. Click here for Pinner rates and details. "Oh wow! I loved the huge selection of classes. It was so hard to choose just one during each time slot. Cannot wait to do 2 days next year instead of 1 day. So much fun!" "Okay. If you're looking for fun the @pinnersconf is where you want to be!! I've had a complete blast learning new techniques and checking out local people who create things u can only dream of!!" "When your Pinterest dreams come to life at #pinnersconf you can't help but have a perma-smile on your face. Ha!" "An amazing event! It's so fun to check out all of the fun shops and classes. It's our favorite show!" "We loved everything about this. Thank you!" "Enjoyed some mother-daughter time at Pinners Conference over the weekend! Our first time going and it was SO cute and fun!" "Wow!! Pinners did NOT disappoint!! 2 full days of shopping, crafting, eating, laughing, inspiring and lifting moments! I gained knowledge, self love and some of the most incredible inspiration I've ever received! Can't wait til next year!!" "What a fun day! I love Pinners because it's a giant buzzing hive of creative minds and strong, talented women." "PinnersConf has been absolutely amazing. I could never asked for a better weekend of creating, connecting and learning! It has seriously been as great as I knew it would be!" "I didn't take nearly enough pictures, but I had such a great time at Pinners! I sewed, I laughed, I learned, painted, stained, cross stitched, drilled and braided." "If you have never been to @PinnersConf - YOU NEED TO GO! We had the best time learning (a big list of stuff :). Can not wait for tomorrow!"